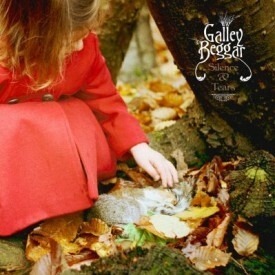 Galley Beggar’s 3rd Album (CD, Digital and 180gm Vinyl Release). Unbelievably, it’s almost 50 years since Fairport Convention and their followers – Steeleye Span, Trees, Dando Shaft, Mellow Candle and others – fashioned British folk-rock. Kent-based sextet Galley Beggar – who take their name from a mischievous spirit in English folklore – describe their mission as ‘to imagine the next phase of English folk-rock’ on their third album, Silence & Tears. “We’ve always loved English folk, but when we formed in 2009 it felt like nothing much was happening to carry the style forward,” says guitarist Mat Fowler, “so we thought, we love listening to folk-rock and we love playing it – why not try to write something in that vein? The results can be heard on their earlier albums, Reformation House and Galley Beggar, and now onSilence & Tears. “Our first record was very folky,” reflects Mat, “but since then we’ve moved towards a more electric rock feel.” Indeed, the eight tracks on the new album span traditional song, Gothic balladry and peculiarly British acid rock, the mood alternately fragile and robust, with sweet vocal harmonies (led by Maria O’Donnell), lyrical guitar playing from Mat and his cohort David Ellis, and added texture from the violin of Celine Marshall (calling to mind Mr. Fox’s Carolanne Pegg), all anchored by Bill Lynn’s steady bass and Paul Dadswell’s deft drumming. The material spans reworkings of the ancient classics Geordie and Jack Orion, brooding ballads like Adam & Eve and the otherworldy Empty Sky, and the intense 9-minute epic Pay My Body Home, which triumphantly recalls folk-rock’s early 70s glory days. Richard Morton Jack, Feb 2015.